Andy Murray won his sixth title of the year after beating Spain’s Roberto Bautista Agut in the final of the Shanghai Masters today. Murray claimed a comfortable 7-6, 6-1 straight sets win over Bautista Agut, who is currently ranked 19th in the world, at the Qi Zhong Tennis Centre. In doing so, Rio 2016 Olympic champion Murray has cut Serbian Novak Djokovic’s lead at the top of the ATP Tour world rankings to 915 points, as he closes in on becoming world number one. The first set ebbed and flowed, with each player winning their respective service games until Murray broke Bautista Agut to lead 4-3. However, the Spaniard instantly leveled things up again and then won his serve as the games reached 6-5. Murray steadied himself and delivered a love game to take the first set to a tie-break, which he cruised through 7-1. That was the 19th set Murray had won in a row following the Scot’s win at the China Open in Beijing last week. Breaks were also exchanged in the early part of the second set but Murray seized a 3-1 lead as a particularly poor game from Bautista Agut allowed the double Wimbledon champion to begin to exert his dominance. 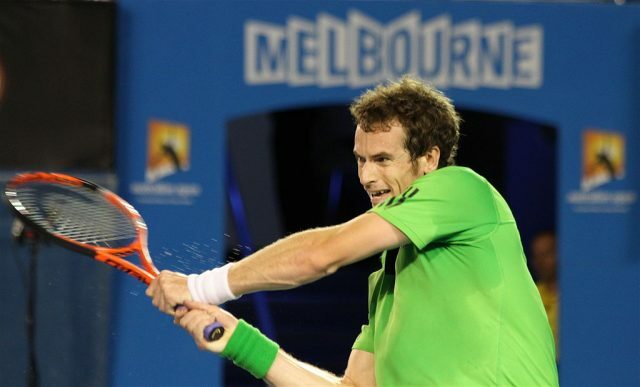 Murray, who has now won the Masters 1000 event three times, had the chance to serve out the match at 5-1 and he quickly brought up three match points. He only needed one as he clinched his 41st career title with a smash. “The last few months I’ve played very well in all of the tournaments and obviously happy to be back in the final again here,” said Murray, whose Rio 2016 Olympic title defended the gold medal he won at London 2012. Bautista Agut had played some sublime tennis in Shanghai, not dropping a set on his route to the final, which included the biggest victory of his career against Djokovic in Saturday’s semi-finals.